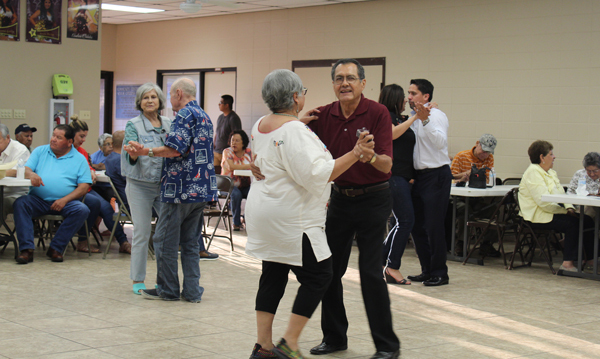 A Rio Grande Valley conjunto band entertained a group of people at Los Fresnos Community Center on Wednesday of last week. The group, called Ruben de la Cruz y su Conjunto, played and sang several tunes familiar to such genre of music. The idea behind the concert was actually a prelude of the Narciso Martinez Conjunto Festival scheduled to be held on Oct. 19, 20 and 21 of this year. Rogelio Nuñez, director of an arts center that bears the name of the famous player, gave an overview of the history of conjunto music. He said that conjunto music was started by Narciso Martinez, a Reynosa (Mexico) native who grew up in a small community west of Brownsville called La Paloma. Nuñez said Martinez added the bajo sexto, or the 12-string guitar, to his music. The rest is history, he said, adding the music the band was to play Wednesday night is a preview of what is coming at the October festival. 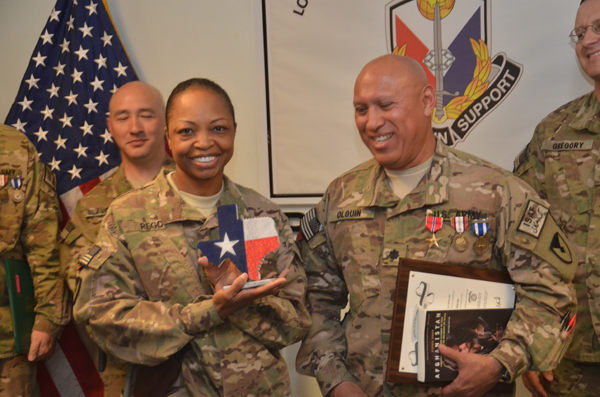 The band played a repertoire of huapango, polkas, boleros and other tunes familiar to Hispanic and Mexican-American cultures. 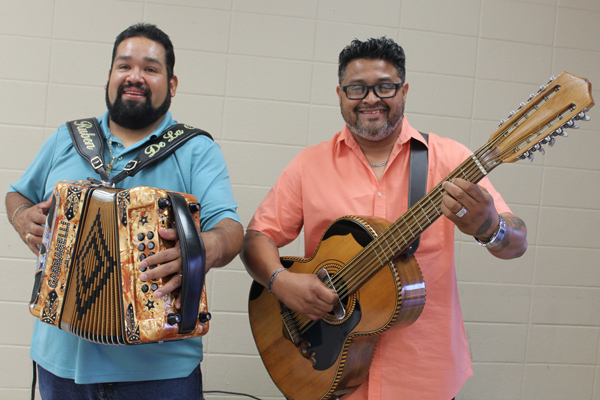 Some attending the event stepped on the floor of the community center to dance as Ruben De La Cruz, of Edouch-Elsa, played the accordion and his partner, Frank “Pancho” Hernandez of San Benito, strung the bajo sexto. Wednesday’s presentation of conjunto music drew several dozen people who were also treated to hot coffee provided by Organo Gold and to “sanhuichitos” courtesy of Wal-Mart. 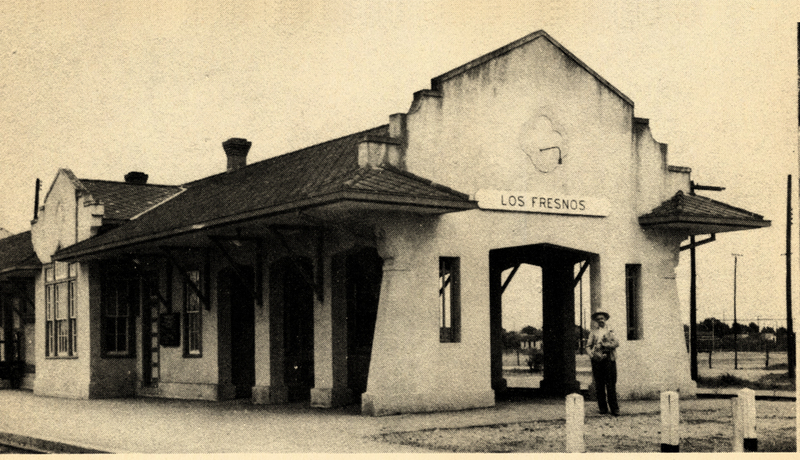 Los Fresnos is now the headquarters of the conjunto festival, following meetings between the city council, the Community Development Corp. and the non-profit organization run by Nuñez. Ruben De La Garza, left, and Pancho Hernandez, playing conjunto music during last week’s concert. The City of San Benito has held the festival for the last 25 years but the fees the city wanted this time was beyond what organizers hoped to spend. Board members with CDC unanimously allocated $5,000 for the project relocation during a February meeting, saying that will put Los Fresnos at the forefront of a music culture born in this part of the country. He said having the Conjunto Festival here, fits perfectly with their plans to make Los Fresnos a major cultural and tourist destination. 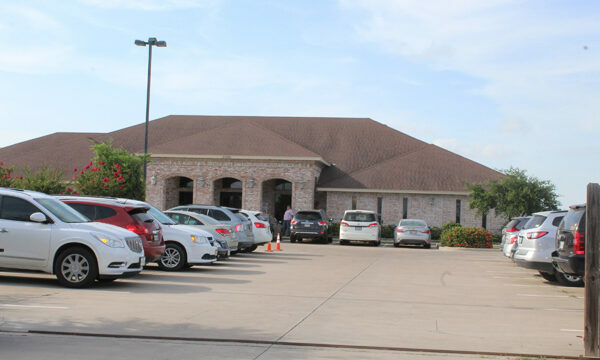 Nuñez said they decided to go after another place to relocate the center from its original home base in San Benito for a major reason – economics. San Benito was asking close to $18,000 a year to have the center and festival, which he said is beyond their means. David Garza, commissioner for Cameron County’s Precinct 3, also said the two centers and the festival are like no other cultural-oriented activity in the Rio Grande Valley.